Chandradew Sharma is an Assistant Professor in the Department of Physics at Birla Institute of Technology & Science, Pilani. His area of expertise is Econophysics and High Energy Physics. He did his Ph.D. in 2009 from the Institute of Mathematical Sciences, Chennai. He has joined the BITS, Pilani in 2009. He has been teaching both Physics and Mathematics. His current interest isin research inis Econophysics. 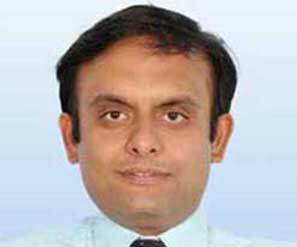 Narayan Suresh Manjarekar is an Assistant Professor in the Department of Electrical & Electronics Engineering at Birla Institute of Technology & Science, Pilani, K K Birla Goa Campus. He completed his B.E. degree in Electrical Engineering from University of Mumbai. He completed his M.Tech and Ph.D. in Systems and Control Engineering from IIT Bombay. His areas of interest are Systems Theory, Control Systems, Vibration Control, and Electrical Power Systems Stabilization. He has been engaged in teaching and research at BITS Pilani, Goa Campus from June 2010. He has taught courses such as Control Systems, Signals and Systems, Electrical Machines, and Digital Signal Processing. He has taught courses such as (a) Advanced Control Systems, and (b) Electrical and Electronics Technology under Work Integrated Learning Programmes. 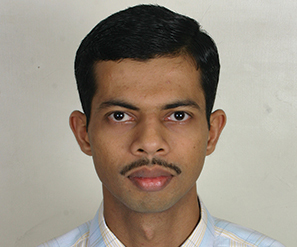 S.Raghuraman is currently Assistant Professor of Mechanical Engineering working as off campus faculty at Chennai. Raghuraman received his B.E. degree in Mechanical Engineering from Madurai Kamaraj University and M.E degree in Mechanical Engineering (Specialization in Refrigeration and Air conditioning) from Bharathiar university in 1992 and 1994 respectively. He worked as a Senior Engineer (R&D) with National factory for Air conditioners in Kingdom of Saudi Arabia from 1994 -2000. 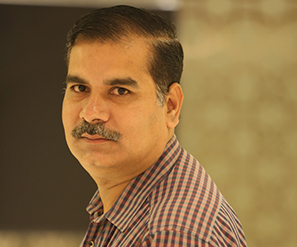 He had a career with Blue Star Limited, as senior manager (Product Development) from 2000-2004. He worked as Deputy General Manager (Design and Development) with Awal Gulf manufacturing at Kingdom of Bahrain from 2005 -2015 , before joining BITS Pilani from September 2015. He teaches Concurrent Engineering, Product Design, Mechatronics, Thermodynamics courses. Raghuraman had conducted certification program on Pumps, fans and Blowers besides functioning as member of team which delivered certification program on Instrumentation, control systems, Mechanical design elements such as Bearings, Shafts, and Fasteners. 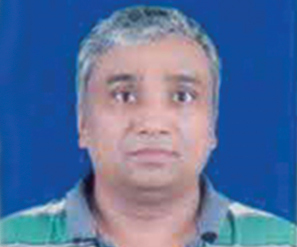 Dr. Samir R. Kale is currently working as Assistant Professor (Off Campus) at BITS, Pilani. 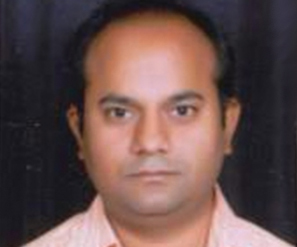 He joined BITS, Pilani as off campus Faculty (Asst.Lecturer) in 2001 at Grasim Industries Limited, Nagda. He taught various Process Engineering Courses such Chemical reaction engineering, Process Control, Process Design Principles along with numerous foundation courses. He supervised nearly 140 plant based projects at Grasim, Nagda. He has also coordinated many WILP programs of BITS, Pilani. (Grasim, Dr. Reddy’s, Verizon, Chambal Fertilizers etc). He has published research papers in areas of Process Safety and Process Design area. He completed his M.E (Chemical Engineering, Dec-2000) and PhD (Safety, Aug 2015) and currently works at Hyderabad off Campus Center of BITS,Pilani since 2014. 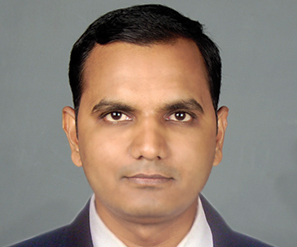 Prof. Sandip Deshmukh is working as an Associate Professor in the Mechanical Engineering Department of BITS Pilani – Hyderabad campus, India from 2012. Before joining the Hyderabad Campus, he was working at the Centre for Environmental Strategy, University of Surrey, UK as a Research Fellow from 2008 to 2012, working on EPSRC funded research projects. Before joining the centre, he worked for five years as a Lecturer at Amravati University, India and for eight years as a Lecturer/Assistant Professor at BITS, Pilani – Pilani Campus, India. He holds a Bachelor’s in Mechanical Engineering and Master’s in Thermal Power Engineering from Amravati University and a Ph.D. from BITS, Pilani on ‘Region-wise Development of Integrated Renewable Energy Systems’. His main research interests relate to regional energy planning with a focus on decentralized energy supply options and energy resource allocation for socio-economic and techno-economic development; and has more than 15 international journal publications to his credit. He has expertise in identifying and characterizing options for energy supply for different development types and their integration with other service sectors such as water, waste and transport. He has a teaching subject expertise in various subjects such as: Thermodynamics, Prime Movers and Fluid Machines, Power Plant Engineering, I C Engines, Refrigeration and Air Conditioning, Energy Conservation, etc. Santosh Khandgave is currently Lecturer (Off-campus) in Work Integrated Learning Programme and Practice School Divisions, BITS-Pilani, Pilani campus. Santosh received B.Tech. degree in Chemical Engineering from Dr. Babasaheb Ambedkar Technological University (BATU), Lonere and M.E.in Chemical Engineering from Birla Institute of Technology & Science(BITS), Pilani in June 2006 and Jan 2009 respectively. He was associated with Hindustan Zinc Limited (a Vedanta group company) as a process engineer during June 2009 to March 2010 and joined BITS immediately afterwards. His research interests include Transport Phenomena, Chemical process calculations, and computational fluid dynamics of chemical processes. 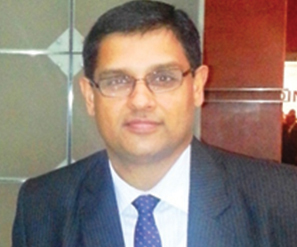 Prof. Srinivas is presently a Professor in the Department of Chemical Engineering at BITS Pilani K K Birla Goa campus. He obtained his Bachelor's Degree in Chemical Engineering from Shivaji University in 1991 and his Doctoral Degree from the University of London, United Kingdom in 2004. In 1993, on completion of the prestigious one year Training School programme at Bhabha Atomic Research Centre (BARC), he joined the Chemical Engineering Division at BARC as Scientific Officer. In January 2000, he joined Queen Mary College, University of London to study for a Ph.D. in the area of condensation heat transfer in the presence of a non-condensing gas. In August 2003, he joined the University of Sheffield, United Kingdom as a Post-doctoral Research Assistant and subsequently in January 2005 joined the Chemical Engineering Group (presently Department of Chemical Engineering) at BITS Pilani, K K Birla Goa campus as an Assistant Professor. As a teacher, Prof. Srinivas’ interests lie in Chemical Engineering Thermodynamics, Heat Transfer, Chemical Reaction Engineering and Process Engineering. His main focus of research is in the area of Process Intensification involves addressing challenges posed in developing practical cost effective, energy efficient and environment friendly systems from a commercialization point of view, thereby attempting to bridge the gap between know-why and know-how. He was also a Visiting Professor at the Department of Chemical and Materials Engineering at Lunghwa University of Institute of Science and Technology, Taiwan from May to July 2009. He is also a Senior Associate Member of the Institution of Chemical Engineers (IChemE), United Kingdom and Life Member of the Indian Institute of Chemical Engineers (IIChE).